SCORPION- Dish Wash Gel adopts unique formula in action of dissolving tough stains, killing germs and gives a sparkling effect, will leaves a pleasant citrus fragrance. We are a unique name in the industry to provide our prestigious clients an exclusive range of Lemon Dishwash Bar. Enriched by our vast industrial experience in this business, we are involved in offering an enormous quality range of Dish Wash Bar. Dish Liquid is a plant-based formula saves your time as it fights grease and powers through tough, dried-on food. 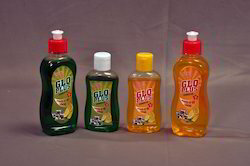 We manufacture, supply and export a wide range of Dish wash Soap which is made by using quality materials. This soap is anti-bacterial formula with lemon extract fights against germs and leaves the utensils dirt-free and smell free. These soaps are effective in washing the dish which contains hard stains while cooking. We are the manufacturer of XL Dishwash. It is a highly active dish washing Gel. Caustic Free and a ulter foaming Action. XL Dishwash is a commercial grade, Non Caustic, phosphate free , fully biogradable Gel.This Product is used with soft water, making XL Dish wash perfect. We will deliver this product in 1 day. Leveraging on the skills of our qualified team of professionals, we are specialized in providing an excellent range of Dish Wash Liquid. This Dish Wash Liquid is exactly formulated using premium quality chemical compounds and cutting-edge technology. 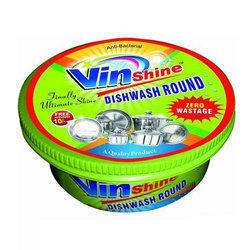 This product is primarily used for washing glasses, plates, cutlery and cooking utensils in a sink or bowl. We bring forth an exceptional quality range of Dish Scouring Bar. Available at reasonable prices, these products can be customized to suit the specific requirements of our clients. These dish washing soaps are highly effective and efficiently remove the oils and dirt.